Lahinch Golf Club 2019 is one of the best golf links courses to play in Ireland. Notably, Lahinch GC is situated approximately north-west of Shannon airport on the west coast of Ireland. Whereas, both the Cliffs of Moher and the Burren Geo National Park are the widely known attractions in West Clare, IReland. 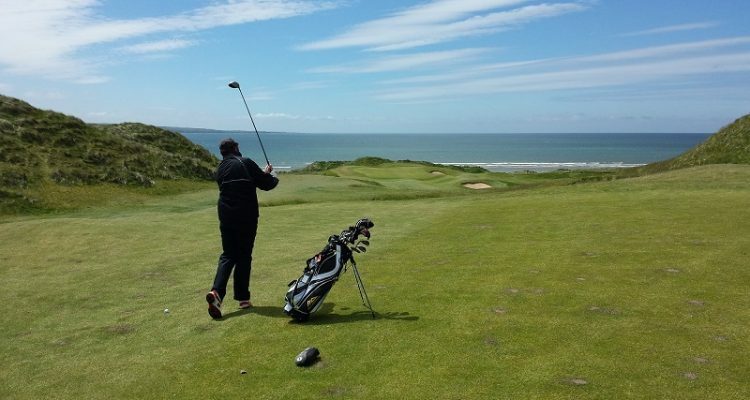 A number of golfers visit historical sites and play Lahinch during the same day! Lahinch opened in 1895 by Old Tom Morris and in 1926 and Dr Alister MacKenzie re-designed the course. Without any doubt, Lahinch is the foremost links courses to play on the West coast of Ireland. Notably, Lahinch is a traditional Irish golf links course. Essentially, the front nine is played away from the clubhouse and the back nine is played back to the clubhouse. Notably, the front nine at Lahinch is unique set of holes. Namely, driving the ball straight and accurate is the key to scoring the front nine. Also, on holes three, six and seven golfers are hitting to a raised fairway. Whereas, on holes two, four and nine golfers are hitting onto a lower level fairway. Indeed, the tee shot landing areas are much flatter on the back nine compared to the front nine. I identify the golf course difficulty by a number of factors. Essentially, one of those factors is, how many on course hitting holes. Meaning that after an excellent tee shot, golfers must play an accurate medium to long iron left to the green. Indeed, it is important to look at the greens in play as some greens are guarded by nasty bunkers! 6th Hole Fairway Bunker... Its Deep! A busy year in store for Lahinch Golf Club 2019. 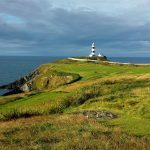 Note the following dates for planning golf trips to Ireland for 2019. Lahinch Golf Club is certainly one of the best Irish Links courses not to be missed by any golfer. 4th July – 7th July the course will be closed for the Dubai Duty Free Irish Open. 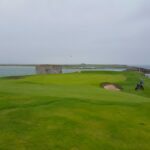 1st of Aug – 18th Aug Lahinch Golf Club Members’ Festival of Golf. 9th of Sept to 13th Sept Home Internationals. Indeed, the August events are for club members, and those dates are not available for outside play. Whereas, the home internationals is open to anyone to watch the best amateur International golfing teams from Ireland, England, Scotland and Wales compete against one another. Additionally, the Home Internationals is one of the Top Amateur golf events in Great Britain and Ireland. 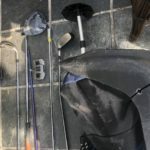 Indeed, five tips to improve scoring at Lahinch Golf Club. From the rough, play for the flyer lie and the front of the green. Should the ball miss the green, use a putter where possible to avoid a duff chipped shot! Ensure that good information is received to play tee shots on the correct line. Play sideways with a lofted club from the heavy rough. Play for the centre front section of greens. Notably, there are other courses to play when travel dates clash! 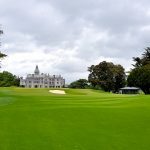 Besides, there are other courses to play in the area such as Trump Doonbeg, Dromoland Castle, Ballybunion Golf Club, Tralee Golf Club, Ennis Golf Club, Castletroy Golf Club in Limerick. Finally, please contact us if you require any further information. Indeed, please click and read on more information about the Lahinch Golf Club.